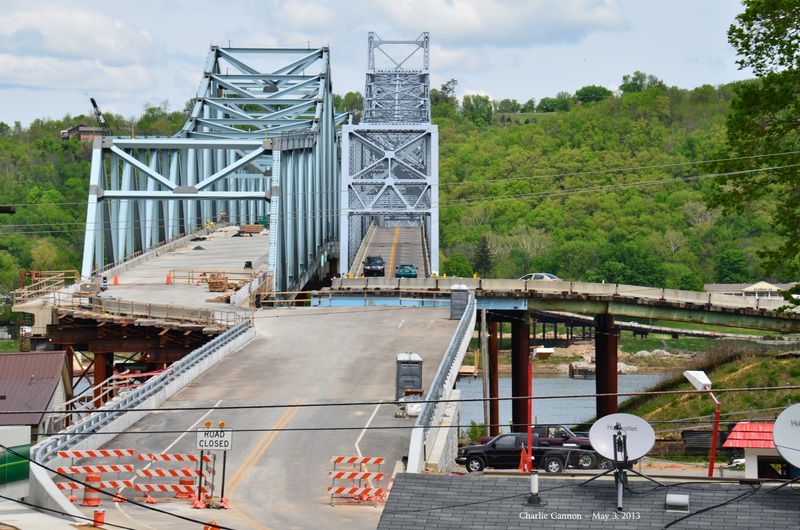 Kentucky Transportation Cabinet and Indiana Department of Transportation’s $103 million Milton-Madison Bridge project improved safety by replacing a deteriorating bridge across the Ohio River between Milton, Kentucky and Madison, Indiana. Project crews managed traffic without major disruptions through temporary bridges, strengthening the old bridge during construction, and seamlessly switching traffic to the new bridge. By sliding the new bridge onto refurbished piers, crews were able to reduce the bridge closure to one month instead of a year. Unbelievable project. Watch the video. Fantastic Bridge. Milton Madison Bridge. Largest span bridge to be slid into place!!! Great Builders! So proud of the my husband, Mitchell Draper & the many ironworkers from Local 70 for their hard work on this amazing project!!! Great project. All phases were fascinating!